Northlands Childcare Facility | prairie architects inc. 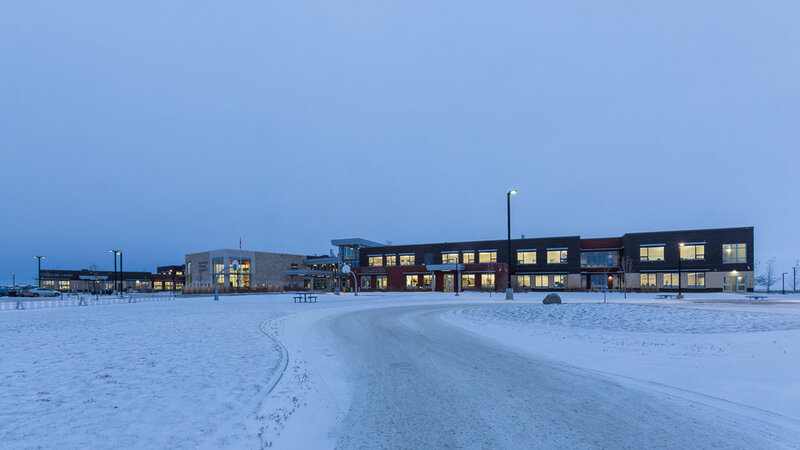 Located on the northeast edge of the City of Winkler, the 112,400 square foot collegiate, which opened in 2013 and is certified LEED® Gold, celebrates the population growth of the region and has made room for 800 - 9th through 12th grade students. In addition to the standard array of classrooms, library, and gym, the school division requested a gathering area available to all students throughout the day for study, dining, and general interaction. This is to provide for their new school philosophy of more integrated learning environments and create a place where the entire community feels welcome. The high school also features four technical vocational programs that are a part of the Red River Technical Vocational Area. Each program - culinary, cosmetology, environmental technology, and community health and childcare – is an integrated component of school and community life. The Community Health and Childcare Program is located directly adjacent to the Community Daycare for learning opportunities and the daycare will provide space for 80 children (64 preschool and 16 infants). The design evolved using the Collective Design Process and the Integrated Design Process. The IDP team consisted of Garden Valley School Division, Public School Finance Board, cost, energy modeling, landscape, acoustic, LEED and engineering consultants. The plan consists of a west wing and an east wing with a central atrium to serve as the main entry & school “commons” and a day care off of the west wing. Off of the “commons” there are numerous services including gym entry, culinary service, guidance, administration office, school store and the library. The library flanks and announces the main school entrance on one side and looks out onto an exterior entry courtyard. The choral room located adjacent to the gymnasium also doubles as a stage into the gym for large performances throughout the year. 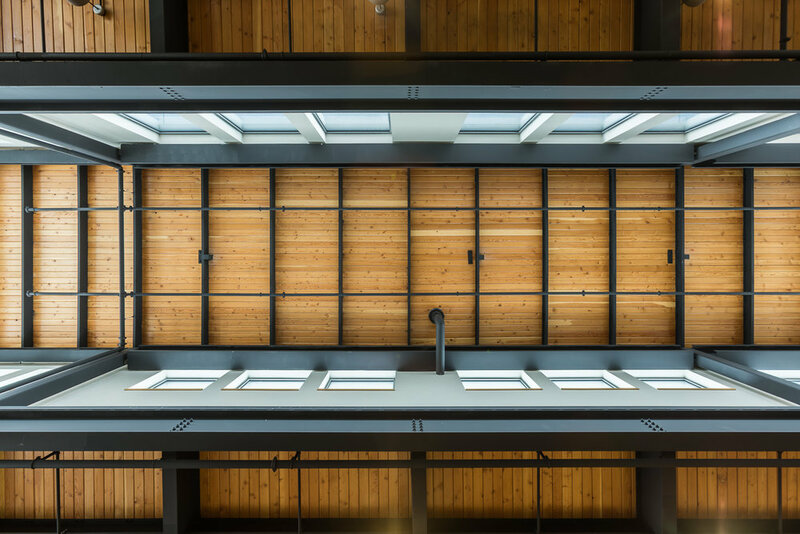 The design uses reclaimed materials including 18” diameter old growth columns & heavy timber in the commons and recycled brick and hardwood flooring in the gym.